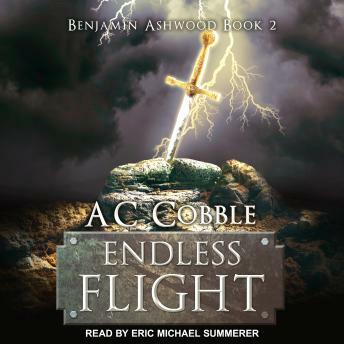 Endless Flight continues the epic saga of Benjamin Ashwood. As Ben flees from powerful forces, the course of political alliances and a war hinge on information he and a friend possess. To save that friend's family, and countless other lives, they must stay one step ahead of danger and warn others. Along the way, Ben finds new allies, but also learns of a deadly threat to all humanity. Only Ben and his companions have the skill, knowledge, and courage to defeat the threat. A journey into uncharted territory uncovers important information and sets the stage for an epic battle between mankind and evil. Facing an enemy that shows no mercy, Ben will have to stand side by side with his companions to protect what they can.